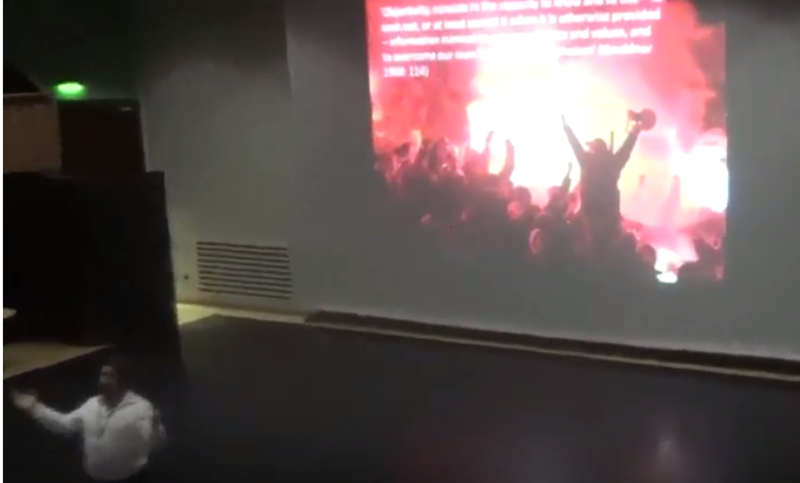 Video of Mark Doidge (University of Brighton, UK) of his keynote at the Football, Politics and Popular Culture conference, Limerick (2017). The quality is not fantastic, but in the spirit of The Football Collective, we have made it happen on a budget! stated ‘philosophers have only interpreted the world… the point is to change it’. Dr. Mark Doidge is Senior Research Fellow in the School of Sport and Service Management at the University of Brighton. He is an expert on European football and political activism amongst football fans and has undertaken extensive ethnographic studies and interviews with groups across Europe. Through this work he is a director of the Anti-Discrimination Division of Football Supporters Europe. Dr Doidge’s current research focuses on the role of sport (and football in particular) in supporting refugees and asylum seekers, both in camps and in host communities. He is the author of Football Italia: Italian Football in an Age of Globalization (2015, Bloomsbury), co-editor of Sociologists’ Tales (2015, Policy Press) and is currently co-writing a monograph entitled Collective Action and Football Fandom: A Relational Sociological Approach with Jamie Cleland, Peter Millward and Paul Widdop (expected publication date late 2017 with Palgrave Macmillan).